* Protective Alloy Valve Covers to help prevent leakage, dirt and other objects from damaging cores. * Instead of the original bad caps of your tire, the caps show the beauty characteristic of the tire. * Easy to install, only screws onto tire valve stem. * Made by metal material, these Tire Valve Covers prevent the valve stem from leaking. 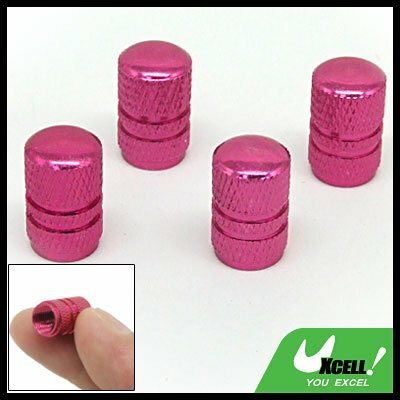 * Decorate your wheel with these Valve Stem Caps. * Also makes a great gift for someone else.